Our 2010 was one filled with hills and valleys, and a lot of running up and down them, both literally and metaphorically. We finished the year with a successful return of our USCIS paperwork, and our fingerprint appointment scheduled for mid-January. After we get fingerprinted our next step will be to wait for our Favorable Determination Letter (FDL), which could take up to two months. 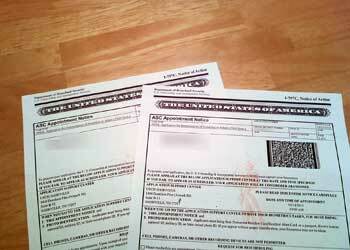 This will be a pre-approval of a visa, which will be required when we finalize our adoption. We had a very encouraging holiday this year as we met up with family and friends that we hadn’t seen in far too long, due to travel restrictions with IVF and our intense training schedule for our marathon. Everyone really rallied around us to inquire into our adoption story and we just can’t get over how many people are so excited to welcome our blessing home in 2011. We received a new video camera for Christmas that we hope to be able to help capture priceless moments in Ethiopia, as well as all of future first with Bella. I hope that we can get a lot of video footage between our two trips that will help her realize someday about the beautiful culture and people of Ethiopia. We also received a number of early gifts for her and some excellent literature about the process of adoption and international travel. We hope to receive our updated list numbers sometimes soon, and this month we will receive a phone call from our agency to catch us up on any new updates. As we ring in 2011, I want to say a special blessing for the entire continent of Africa and all of the orphans throughout the world. May they find hope and peace in the New Year and know that the Lord is in control.